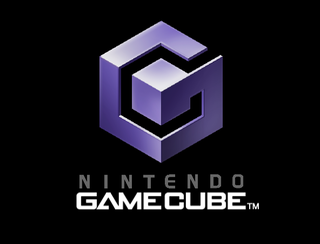 The GameCube is Nintendo's first standalone disc-based console, and a total of 640 games were released in North America (the last being Madden NFL '08 on August 14, 2007) for the said console. Sadly, the odd disc format, lack of DVD playback (a DVD-compatible model was released by Panasonic, but it was quickly discontinued before it could make it to the west due to its high price compared to just buying a regular GameCube and DVD player separately), and "kiddy" perception of the console hurt its ability to build a healthy library of third-party exclusives, but it still contains an array of fantastic first-party titles and the occasional third-party exclusive. While the GameCube itself may have died young, its incredibly forward-thinking architecture lives on: the Wii is essentially a GameCube with faster clock speeds from an internal standpoint. There's a copyright string header in the IPL ROM. ArtX was the company that developed the GameCube's GPU. They were bought out by ATI in 2000. (C) 1999-2001 Nintendo. All rights reserved. (C) 1999 ArtX Inc.  All rights reserved. The main menu ambiance may sound relatively toneless, but speed it up by 19×...and there's the Famicom Disk System's startup fanfare. The SDK has strings that reference all of the known Nintendo 64 peripherals, including obscure ones such as the keyboard and mouse from the Nintendo 64DD. Chunks of text containing these strings can be found as leftover in various games, including Wario World, while GameCube Service Disc v1.0/03 can detect N64 controllers. If the soft reflections on the GameCube startup animation and menu look strangely familiar to you in a very Nintendo way, that's because the texture file is the same one used in The Legend of Zelda: Ocarina of Time and Majora's Mask for the Nintendo 64 logo and shiny items. 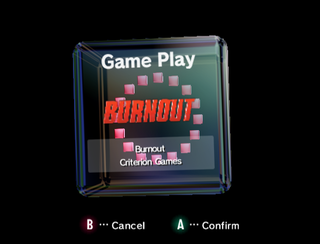 If you hold Z on one or four controllers while turning on the GameCube, the music that plays during the logo animation will be different. Start-up sound when Z is held on one controller. Start-up sound when Z is held on all four controllers. 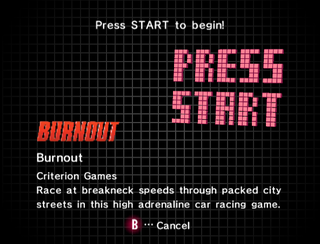 Present at 0x7FFC6 in the IPL ROM is some text likely used to test the Game Play section of the menu. "pokemon kingin" refers to Pokémon Gold and Silver. 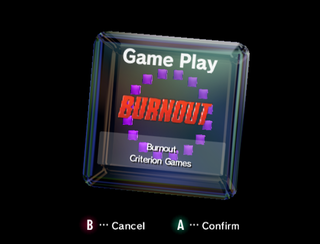 The rotating cubes and "PRESS START" in the Game Play section of the menu were changed from pink to purple in later versions of the system's menu. The system supports up to 2043 block memory cards. However, Memory Card 1019 is the largest capacity Nintendo officially released. Some games have text referencing the scrapped Memory Card 2043, and there were development tools that could use 2043 blocks. This isn't a total loss, as many third-parties have released unofficial 2043 block cards. This page was last modified on 13 March 2019, at 20:14.